Over the course of their thirty trips around the sun, Earth has remained diligent in their commitment to monolithic minimalism. The sonic vocabulary may have changed—from their early years churning out seismic drone metal on albums like Earth 2 (1993) to the dusty Morricone-tinged comeback album Hex; Or Printing in the Infernal Method (2005) to the meditative rock approach of Primitive and Deadly (2014)—but the underlying principle of austerity and restraint remains a constant. 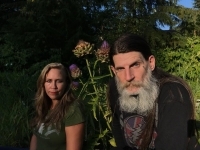 With their latest album Full Upon Her Burning Lips, Earth purges the layers of auxiliary instrumentation that embellished some of their previous records and deconstructed their dynamic to the core duo of Dylan Carlson on guitar and bass and Adrienne Davies on drums and percussion. In the process, they tapped into the Platonic ideal of Earth—an incarnation of the long running band bolstered by the authority of purpose, where every note and every strike on the drum kit carries the weight of the world. Full Upon Her Burning Lips opens with “Datura’s Crimson Veils”, a twelve-minute opus that adheres to Earth’s 21st century approach with Carlson’s sepia-toned Bakersfield Sound guitars lurching across a barren landscape while Davies punctuates the melodies with death knell drums. It’s a sound that harkens back to the riff-constructed vistas of their Angels of Darkness, Demons of Light albums, but stripped of their ornateness. “It was definitely a very organically developed record,” Carlson says of the process. “I limited the number of effects I used. I always like the limiting of materials to force oneself to employ them more creatively. Previous Earth records were quite lush sounding, and I wanted a more upfront and drier sound, using very few studio effects.” In less capable hands, these kinds of limitations might diminish the aural scope of the compositions, but Carlson and Davies have always thrived on reductive methods. The stripped down approach had another advantage. “I really wanted the drums to be present,” Carlson says. “I felt with previous Earth records that other instrumentation took up so much of the sonic space that the drums were kind of pushed to the side.” This tactic helps highlight Davies’ ability to elevate the drum kit beyond its mere metronomic functions and allows it to serve as an expressive, nuanced, and tonally rich component to Earth’s arsenal of sound. The ten tracks on Full Upon Her Burning Lips came together in bits and pieces. 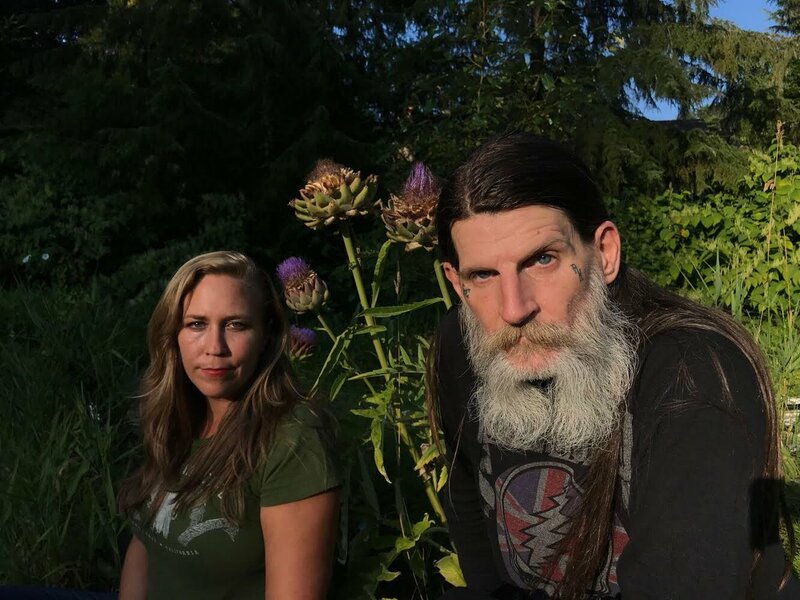 Songs like “Cats on the Briar” and “Mandrake’s Hymn” stemmed from a handful of musical phrases and repeating patterns concocted in moments of downtime during their 2017 tour schedule. “Descending Belladonna” came from a live soundtrack project. Other songs came from rehearsals in the months leading up to recording or in moments of divine inspiration in the studio. The record was engineered, mixed, and mastered by longtime associate Mell Dettmer at Studio Soli. Knowing their process and their sound, Dettmer helped harness, shape, and document the songs in a manner that highlights the depth of Earth’s sparse components, capturing hidden dimensions much like the veiled images residing in the Magic Eye prints from the ‘90s. For the patient listener, the cyclical nature of the songs “She Rides an Air of Malevolence” or “An Unnatural Carousel” reveal new forms with repeated listens, with the subtle variations between passes creating a kaleidoscope of auditory activity. “I feel like this is the fullest expression and purest distillation of what Earth does since I re-started the band,” Carlson says in reflection of Full Upon Her Burning Lips. And indeed, anyone that’s followed Earth on their journey will bask in the unadulterated hums, throbs, and reverberations conjured by Carlson and Davies. 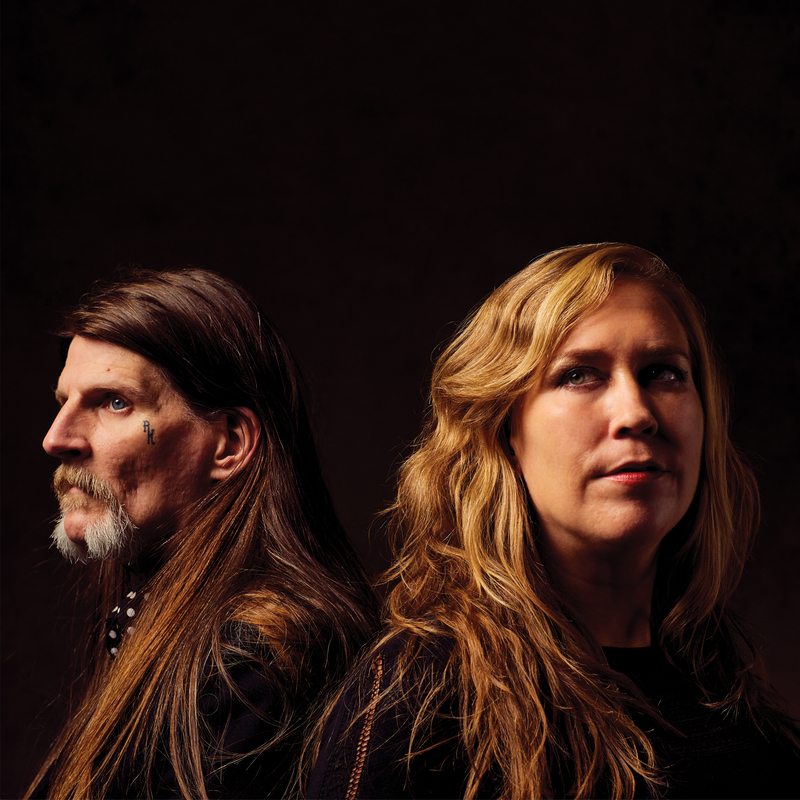 Sargent House is proud to offer up the album to the world on May 24th, 2019 on 2xLP / CD / digital formats. 09/25/2014MidPoint Music Festival Returns This Week! 09/25/201410th Annual Pygmalion Festival Begins Today!